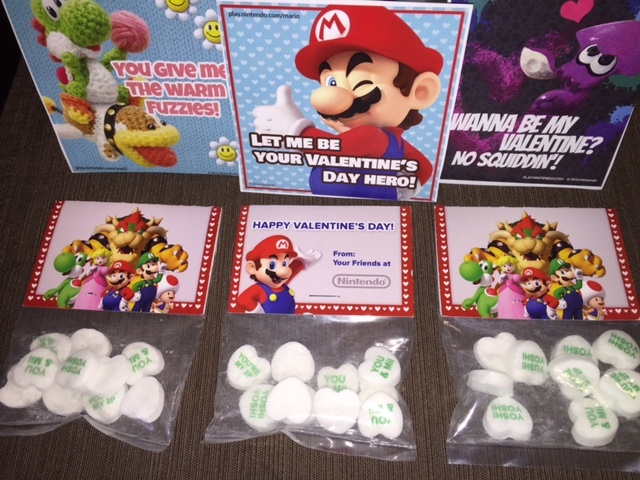 My friends at Nintendo sent me the coolest Valentine’s Day cards and candies to share with my friends. With cards from Splatoon, Mario, and Legends of Zelda and candies I know they are going to love them. Telling them I care about them the way I love best with NINTENDO, is awesome! You can share your Nintendo Love with your friends also, by visiting PlayNintendo.com and downloading lots of fun printable cards, envelopes, and activities. So go ahead and Grab a little Nintendo Love, but be sure to ask your parents before you download and print.